Get in the mood to promote with the 6" Mood Ruler as a low cost cheap giveaway. 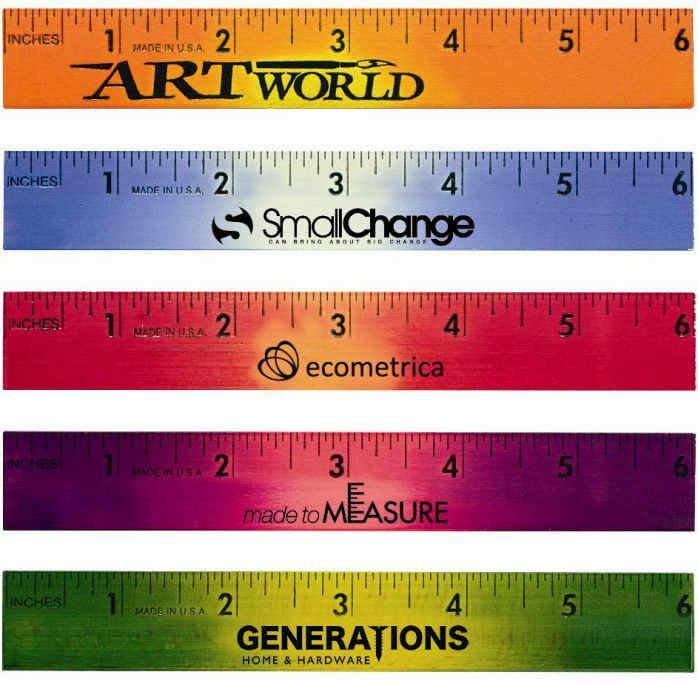 Ruler features include wood construction, changes color to a warm hand, 1/16"
scales printed in the same color as ad copy. Black imprint is recommended. Orange, Violet to Pink, Green to Yellow. Ambient temps do affect. Overall size of the ruler is 6" wide x 7/8" high x 1/8" thick. Delivery from date of a ruler order is 2-3 weeks. Price includes a stock font same ad copy up to 5" w x 3/8" h one side. Logo metal stamping die up to 3" w x 3/8" add $40.00 one time. For a change of ink on a second side add $40.00 per order.